Some might say that the phone you're peering at above is the most un-Nokia-like Nokia device produced in quite some time (if not ever), but remember, this one was custom made for US consumers and AT&T's audience -- something that's not true for too many Espoo-sourced handsets. Once known as the Mako, Nokia's Surge (or 6790 in international speak) is certainly unorthodox in design, though the actual specs list is fairly familiar. We get the feeling that Nokia was aiming to hit a very specific niche with this device, somewhere in-between the text-happy handsets adored by tweens and the smartphone desired by Mr. Suit. Care to see if we think Nokia accomplished said goal? Then head on past the break, vaquero. 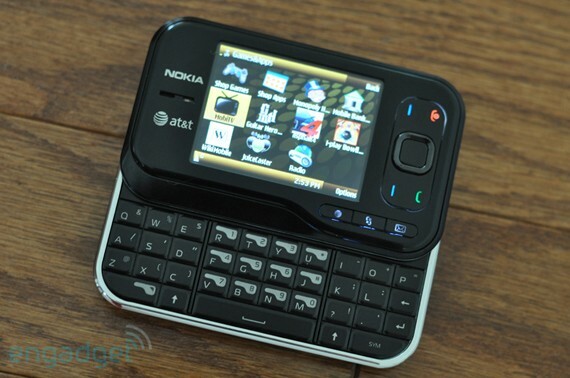 Nokia Surge review originally appeared on Engadget Mobile on Fri, 31 Jul 2009 13:00:00 EST. Please see our terms for use of feeds.